Jeff Hancock and Katie Saifuku La Varre in Mantle, SPDW 2004. Katie Saifuku La Varre was a founding member of Chicago's Same Planet Different World Dance. She received a BFA in dance from SUNY-Purchase, studying with Kevin Wynn, Larry Clark, Neil Greenberg, Bert Terbourgh, Kazuko Hirabayashi, and Sarah Stackhouse. She spent a semester abroad at the Rotterdamse Dansacademie in the Netherlands and was on scholarship at the Alvin Ailey American Dance Center. She was a company member of Melissa Thodos and Dancers, and has danced independently for The Dance COLEctive, Cerulean Dance Theatre, Christy Munch, Emily Stein, EduardoVilaro, Shelby Kroeger and Randy Duncan. She served as Rehearsal Director for Melissa Thodos and Dancers for one season and was a guest artist for Capacitor Dance in San Francisco. Katie is a licensed massage therapist and is certified in Bodywork for the Childbearing Year. How many children do you have? How many boys? How many girls? I have one boy, Leo. He’s 2.5 years old; he was born in November 2008. Sleep is a hot topic for parents. This can be a question that makes some proud, and others completely discouraged. How many hours of sleep did you get last night? I went to bed at 11:30 p.m. and woke up at 7 a.m. I usually try to go to bed earlier, definitely by 10 p.m. during the week. Sounds pretty good to me! When does Leo go down? He eats his dinner at 6 p.m., and has a bath at 6:45. From about 7-7:30 we watch a TV show, followed by a whole bunch of stalling. By 8 we are in his room, for stories and brushing teeth. Yes, believe it or not, we brush teeth in the bedroom, and by 8:30 it’s lights out. Mama needs her personal time! He wakes up at about 7 a.m.
Where were you in your dance career when your son was born? I retired from performing in November 2007 from Same Planet Different World Dance Theatre after being with the company for over ten years as a founding member. I was also the Co-Artistic and Executive Director, and continued this position before and after my son was born in November 2008. I resigned my duties as of May 2009. Has motherhood changed the course of your career? If not, how are you staying on the artistic path you originally set out on? I chose to retire as a performing dancer for many reasons,but starting a family was definitely at the top of the list. Since the company was celebrating their ten year anniversary, it was the perfect time to retire, and I felt satisfied with my performing career. I was leaving without injury, still felt like I loved dance and was excited about the next chapter in my life. As director, I wasn’t sure how motherhood would affect my career. I “inherited” the directorship - I didn’t start the company and never dreamed that I would be running a non-profit dance company. I quickly realized that having a newborn, and managing a company for zero pay simply wouldn’t work. Also, my co-director was out-of-state earning her master’s degree so all the responsibilities were mine. It was no problem to run rehearsals, as I could bring Leo with me, and even carted him along to some school shows. But it was another thing to try and find time to write grants, attend performances, participate in board meetings and oversee the details of running an organization like that. I struggled with the idea of letting the company go, but when I finally decided to resign, a huge weight was lifted off my shoulders! I now longer had to deal with twenty-something dancers, didn’t have costumes all over the house, and could focus on being a mommy. I see you are a massage therapist. What drew you to that line of work? I started massage school while I was performing and running SPDW Dance, working full-time as Special Events Supervisor at the Park District of Highland Park, and teaching three modern dance classes in the Chicago suburbs. Clearly I was looking to make a change! Dancers need jobs that pay great hourly rates, but full-time positions are often not practical due to rehearsal schedules and performances. I loved learning about the body, and always had willing dancers to practice on when I was still in school. It was a great career as a dancer, and is the perfect career for a mom. I work two days a week at the Elysian Hotel Spa and schedule private clients around Leo's naps and activities. People are very appreciative of massage therapists, and they gush about how great you are- something I wish my son would do! 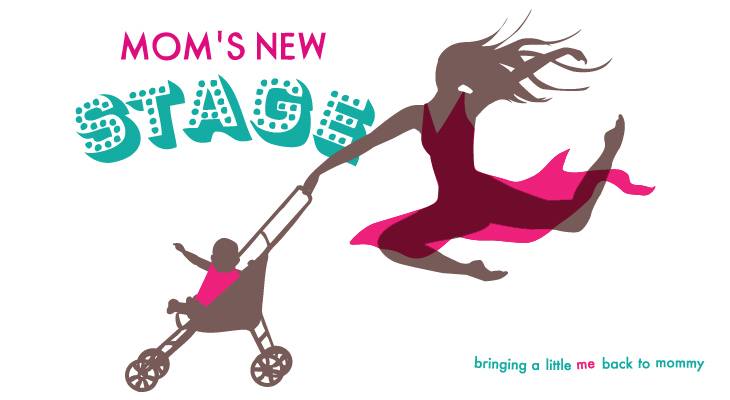 Biggest piece of advice for new moms, especially creative, career-driven types? The thing that has saved me, from pregnancy until now, is the love and support of my girlfriends. I NEEDED to hear that I wasn’t the only one experiencing all the strange things that happen to your body when you are pregnant, or how terrible the first three months with your baby can be, or how you have moments when you hate your husband and wish that he would leave, or the overwhelming joy your child can bring. Motherhood can be really lonely and isolating, so make a new friend!! !